Politicians take to social media after TV feed from their House floor protest goes dark. 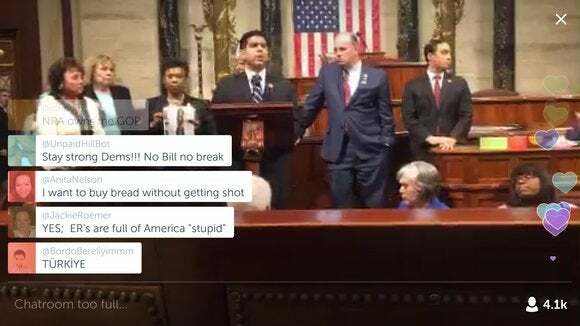 In scenes associated more with dictatorships than the U.S., politicians in the House of Representatives took to Twitter and Periscope on Wednesday to evade a TV blackout of a sit-in held to push forward new gun legislation. Trouble started when House Democrats, led by Representative John Lewis, a Georgia Democrat, started their protest. It came just over a week after a gunman killed 49 at a Florida nightclub and two days after four gun control bills were voted down by Republicans in the Senate. Asked for order on the floor, the Democrats refused to budge, and so the House went into recess. The cameras in the House are controlled by majority Republicans, and the signals are provided to broadcasters for their use. C-SPAN, a channel owned by cable and satellite operators, typically carries the signal live, and when the House went into recess, the feed from the floor went black. That immediately sparked accusations of censorship, and C-SPAN was quick to point out that it had no control over the feed. Frustrated that their protest was not being seen by the American public, the politicians began providing updates on Twitter. They posted images that were no longer being seen on television. 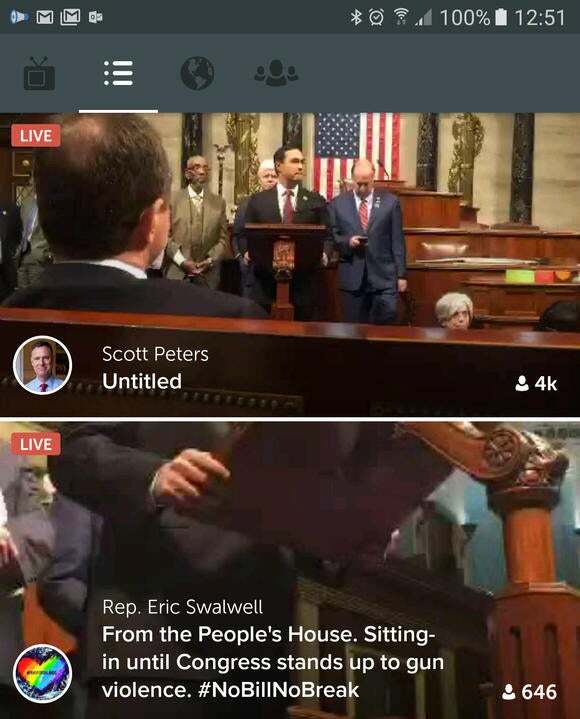 Later, the TV network picked up a Periscope feed that was being broadcast from the House floor, restoring its coverage. At least two politicians were broadcasting live on the platform and being watched by thousands of viewers.